Moukarbel said it was “incredibly hard” filming Gaga while she was in pain, but said she still wanted him to keep shooting. “I think she was very aware of other people who struggle with similar chronic pain. She is not even sure how to deal with it, and that’s a reality,” he said. On holiday in the Peak District in June 2007, three months after being diagnosed with ME, I sat down one afternoon with a pile of postcards and discovered I could no longer write. The words were clear in my head, but the pen in my hand made only meaningless scribbles, empty scrawls. The connection between them had been severed. It was many terrifying hours before it returned. This episode was my first real experience of the cognitive dysfunction that’s a core symptom of ME. 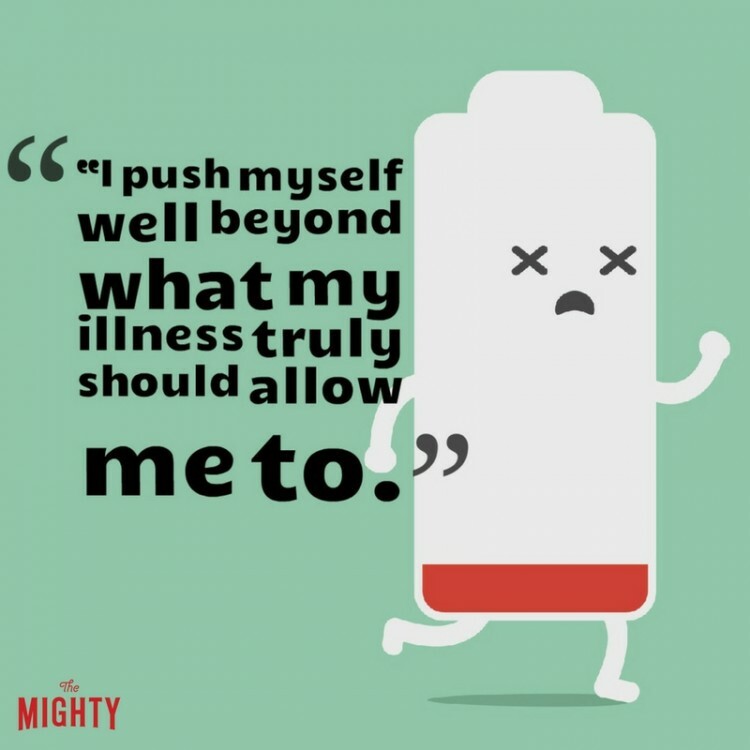 ME (also known as chronic fatigue syndrome, or CFS) is a neurological disease affecting 250, 000 people in the UK, that impairs both body and brain. It’s a 360 disability. Since 2007, my health has deteriorated – by 2009 I was using a wheelchair, and in 2013 became bed-bound – and as my physical functioning has declined, so too has my cognitive capacity. I have problems with memory, attention, concentration, comprehension and language. I can’t listen to the radio, watch TV or use a computer, can’t hold a conversation for more than a few minutes or read more than a couple of sentences. If you know me, you need to know I’ll forget your birthday, or your married name, or that this time of year is difficult for you because it’s when you lost your father, not because I don’t care, but because my illness makes me someone I’m not. While I was still well enough to go outside, I couldn’t work out money in shops, or judge speed and distance to safely cross a road. These days I can’t coordinate a knife and fork; my husband has to cut up my food. “Brain fog”, as it’s colloquially known, can be funny. People with ME post comic stories on web forums about slathering themselves in shampoo instead of sun cream, or going to the supermarket without a purse. LOL. Except no, not LOL. For me, the loss of cognitive functioning is the most distressing and debilitating aspect of my illness. There are no aides for this kind of disability, no walking sticks or wheelchairs for the mind. No one can see it. And no one understands it. When I try to explain that I can’t follow what’s being said, that I shouldn’t be trusted with figures, that the internet is beyond my grasp, I hit a wall of blank incomprehension. I want people to know I’m not going crazy, or being rude; I’m just struggling to remember, to form words and sentences, to add things up, to process, in the same slow, stumbling way I struggle to walk. I used to be smart and quick-witted. I worked as an academic. I have four degrees. My brain, and its intelligence, were my main assets. Now I don’t recognise myself. It took me several months, and my husband’s help, to write these 800 words; when I was well, I’d write 1,000 words a day. I bargain with the gods, tell them I’ll stay in a wheelchair for the rest of my life if they’ll only give me back my mind. It’s the loss of language that’s hardest; being unable to express myself or communicate in the ways I want or need to. I can only talk for ten minutes a day, and when I do I quickly misplace the thread of my argument, or forget what I set out to say. Even simple instructions to my carers can defeat me. I lose words, everyday words. Dressing gown is a favourite. Duvet, my brain suggests. Duffel bag? Duffel coat. Definitely duffel coat. You could take an interest in this, in the way words are indexed and shelved in the library of your mind. But I can’t escape the fear that, somewhere in the basement stacks, a quiet fire is burning, and I’m losing words for good. And with them, I’m losing a sense of who I am. I thought writing could be a way around this. I have glimpses of myself, moments of clarity, perception, articulation; I can write, longhand but lucidly, for a few minutes a day. I started a website to patch together these fragments, to try to explain my ME to the rest of the world. But I can’t stitch these pieces of myself into a coherent whole, a meaningful narrative. Again and again, my illness silences me. These kinds of problems with cognition aren’t unique to ME. They’re common after stroke; in certain illnesses such as multiple sclerosis and fibromyalgia; and among people undergoing treatment for cancer – so-called “chemo brain”. Yet in my experience almost no one recognises or understands this kind of disability. When my walking stutters and slows, I’m met with wheelchairs, disabled access and smiles. When it’s my speech and comprehension that falter, I find only confusion, impatience, even disbelief. We need to find ways of talking about and explaining these kinds of disability, too. A new language: one that might begin to replace the one I’ve lost. At Emma Hart’s studio, two assistants are helping the artist with last-minute touches to graphic patterns inside a group of outsized ceramic heads. The heads appear to be consuming them as they lean deep inside, torches strapped to their foreheads, delicate paintbrushes in hand. In a little over a week, the finished works will be moved to London’s Whitechapel Gallery where they’ll be strung from the ceiling like lamps: the centrepiece of Mamma Mia!, Hart’s show as laureate of the biennial Max Mara art prize for women. Inside one head, the pattern shows young women entangled in a vine of jealousy, among the stylised jaws of Venus flytraps. In another, manicured fingers push hot red buttons, rendered in the greens, blues and yellows of a thermal imaging camera. A third shows overlapping rows of curves, which transform from McDonald’s golden arches into a line of pink breasts as the pattern mounts the sides. Freud would have a field day, but that’s the point. In her early 40s, Hart’s work marries academic foundations (she has a PhD in fine arts) with emotional honesty and a sharp sense of humour. A current touring exhibition – Love Life – with fellow artist Jonathan Baldock, features ceramic-stockinged feet that terminate at the toe end with open mouths, like sock puppets nagging about some mundane chore. A sculpture of a pair of squeezed-out, rolled-up paint tubes suggests both a pair of weeping eyes and sore sagging breasts: more domestic angst, perhaps from a self-pitying artist struggling with new motherhood. That study has fed into the pieces she has made for Mamma Mia! The ceramic heads are modelled on the inverted form of traditional maiolica jugs (in a sly domestic reference, the artist has scored lines on them as if they were merely humble kitchen measuring jugs). Fired in a kiln “the size of my bathroom”, they were glazed with the assistance of a traditional faience studio. Inverted, the mouth of the jug transforms into a nose, and the heads will cast pools of light on the floor in the form of speech bubbles as though they were conversing. Before arriving in Faenza, Hart had spent two months in Milan watching families attend therapy sessions (the “Milan Systemic Approach”) at the Scuola Mara Selvini Palazzoli. She watched therapists identify cycles of behaviour within family groups, and working with genograms – family trees that express emotional relationships between individuals through the use of coded coloured lines, references to which appear in the installation of the finished works. Much of Hart’s art has a kind of gallows jocularity. Love Life is riddled with morbid puns, both visual and verbal. In one work, hanging salami sausages are shaped to read, ominously, “Your Back”. At Whitechapel, ceiling fans made of giant cutlery appear to slice through the hanging heads as they rotate. Perhaps more valuable than the skills and knowledge she has acquired, Hart’s time in Italy has taught her that, in art as in motherhood, it’s OK to admit that you don’t know what you’re doing, that you can’t cope by yourself, and that actually, you’d appreciate a little help. Chronic Fatigue Syndrome sufferers get a podium to discuss their still little-understood condition. A largely mysterious condition that reportedly afflicts as many as 17 million people worldwide, Chronic Fatigue Syndrome still flummoxes most physicians, and remains frequently dismissed as a psychosomatic “illness” — including by some nations. Still, it’s hard to buy the “all in your head” diagnosis when seeing the long-term, sometimes entirely bedridden victims of CFS in “Unrest.” Director Jennifer Brea is one of them herself, and this first-feature documentary chronicles her own struggles while taking in the perspectives of other patients and experts around the globe. Though the “Patient, film thyself” concept is starting to risk overexposure — Sundance alone premieres two such features this year, the other being ALS-themed “It’s Not Dark Yet” — “Unrest” is a high-grade example of the form that’s consistently involving, with content diverse enough to avoid the tunnel-visioned pitfalls of diarist cinema. Narrating her own tale of drastic, inexplicable loss (medical science still doesn’t know what causes CFS) and necessarily sporadic attempts to fight back, Brea starts out by painting a picture of the person she used to be: an inveterate world traveler, among other things, interested in sampling every culture and experience. Educated at Harvard and Princeton, she found a like-minded soulmate in Kenya-born internet analyst, social-network pioneer and Princeton professor Omar Wasow, whom she married. But three years later, at age 28, after contracting a fever of nearly 105, she began to experience a never-ending panoply of symptoms including extreme exhaustion, numbness, acute pain, uncontrolled movement, and extreme sensitivity to light and noise. Seeing umpteen specialists, she was at first told she must just be physically manifesting a delayed psychological reaction to “some distant trauma” she might not even remember. But eventually she discovered a whole hidden community of “the missing” — others who had basically lost all normal life functions to the condition some prefer now to term Myalgic Encephalomyelitis, or ME. Among those given a podium here (through both Skype chats and location footage principally from the documentary’s two d.p.’s) are Georgia housewife Leeray, whose husband left her because he thought he was acting as a “crutch” for an imaginary illness. (A decade later, he stopped doubting when one of their daughters also got the illness.) The son of Stanford genetics professor Ron Davis is so diminished that he’s been unable to speak, let alone leave his bed, for more than a year when we meet him. The most alarming case is that of Danish teen Karina Hansen, whose parents were horrified when police virtually raided their home and forcibly removed her to a state facility — because Denmark is one of the countries that categorizes CFS as a psychiatric condition, and thus considered her a “captive” who was not getting proper treatment. (Incredibly, it took three years of protest before she was released, with no improvement.) The questionable reason that government doctor Per Fink offers for tearing families apart is that viewing CFS as strictly psychological is “more interesting” to him. As for Brea — she’s first seen unable even to lift herself from the floor, though her condition is variable. She has good periods usually followed by long, hard crashes into pain and dead weariness. Patients are shown to have come up with numerous home-remedy “cures” (most of a dietary nature), most of which have fleeting impact at best. More successful are Brea’s efforts at orchestrating heightened awareness for a syndrome that still attracts considerable public skepticism, and whose medical research is poorly funded as a result. Through it all, she has the unconditional support of husband Wasow, though in darker moments she agonizes that she’s ruined his high-achieving life by handing him a caregiver role he insists he does not resent. Proceeding at a measured pace — no film about Chronic Fatigue Syndrome should be over-energetic — “Unrest” ably juggles content that’s wide-ranging enough in tone, style and information to prevent the film over-dwelling on Brea’s personal laments. It’s gracefully edited by Kim Roberts and Emiliano Battista, with Bear McCreary contributing an affecting, string-based score. Reviewed at Sundance Film Festival (competing), Jan. 21, 2017. Running time: 97 MIN. (Documentary) A Shella Films and Little by Little production in association with Impact Partners and Chicken & Egg Pictures. (International sales: Preferred Content, Los Angeles.) Producers: Jennifer Brea, Lindsay Dryden, Patricia E. Gillespie. Executive producer, Deborah Hoffmann. Co-producers, Alysa Nahmias, Anna Troldtoft Hjorth, Leslie Berriman, Nion McEvoy, Michael J. Thies, Reid Hoffmann, Michelle Yee, Mara Sandler. Director: Jennifer Brea. Writers: Brea, Kim Roberts. Camera (color, HD): Sam Heesen, Christian Laursen. Editor: Roberts, Emiliano Battista. Music: Bear McCreary. Jennifer Brea, Omar Wasow, Jessica Taylor, Leeray Denton, Karina Hansen, Ron Davis, Nancy Klimas, Paul Cheney. The experience of watching a film in a darkened room surrounded by strangers can certainly be considered a lonely endeavour. Shutting out all extraneous thoughts, feelings and anxieties which may have been percolating over the course of the day leading up to an evening’s retreat in the cocooning sanctuary of the cinema can also be incredibly therapeutic – a visual and aural balm to soothe away the stresses and strains of modern life. Cinema is an escape, regardless of the subject matter thrown up on the screen; it is a haven, a state and mind-altering distraction into an alternate reality, if only for a couple of hours. Cinema had been widely tipped to have had its day, superseded by the combined might of Netflix, Sky and Amazon Prime in the battle for our viewing attention. Box-set binging is the order of the day now as we gluttonously devour the latest season of whichever TV show happens to be trending on social media – the clarion FOMO call defying us not to engage and consume like all good consumers must, obeying the master-to-servant mantra from on-high. Television can be consumed in a very sociable setting, with friends and family, all the home comforts and a very convenient pause button, handy for loading up on snacks, or for dropping them off. Cinema can also be sociable though with the gaze fixed on the big screen, joyously distraction and chatter-free. Laughter is communal and emotions are heightened by the shared experience of the screening room. Post-film discussion provides catharsis, greater understanding and fellowship as the lights come back up. Entirely volunteer-led and non-for-profit, Rochester Picture Palace has been screening films on Rochester High Street for the past four years or so, originally at the Corn Exchange where we adopted the name of a former incumbent a century ago, ‘Rochester Picture Palace’. Now relocated to the Huguenot Museum above the Visitor Centre we have undergone an upgrade with retractable raked seating and a bespoke drop-down screen. Our nationally commended programming largely avoids the mainstream fare served up at the multiplexes but instead focuses on the wealth of alternative and world cinema. We aim to represent all sections of society, screening award-winning films ranging from ‘The Tribe’, a Ukranian movie shot entirely in sign language with no sub-titles, to ‘Tangerine’, a Los Angeles-set transgender feature film shot entirely on iPhones. Some of the Palace’s most memorable evenings have been collaborative efforts featuring guest speakers, such as the screening of ‘Suffragette’ on International Women’s Day; ‘Mission To Lars’ with the Challenging Behaviour Foundation and our two afternoon screenings to commemorate World Holocaust Day. Medway is such a vibrant area teeming with a diverse array of talented artists and an abundance of fantastic folk who care passionately about the lives of those around them. This, for me, is the defining aspect of society. Local arts and cultural initiatives have been at the forefront of promoting community-based events, raising money for good causes but also awareness of issues which otherwise would garner little or no publicity from the mainstream media. Rochester Film Society is proud to be involved with ‘Sick! – Living With Invisible Illness’ with the screening of Ken Loach’s Palme d’Or-winning ‘I, Daniel Blake’. The film is a scathing critique of Broken Britain’s humanity-stripping bureaucracy, exposing the humiliation and shame heaped upon disability benefits claimants. The film is also a beacon of hope, however, as it shows how real change can come about by people coming together and helping one another. It is by collaboration and co-operation rather than conflict and division that we can forge ahead and become a society where those without a voice are heard and those in need of help and support are not ignored. When a person’s illness isn’t easily visible, it can be difficult for outsiders to grasp the challenges he or she faces. “If you look ‘normal,’” they may say, “you can’t really be that sick.” Nothing could be further from the truth. 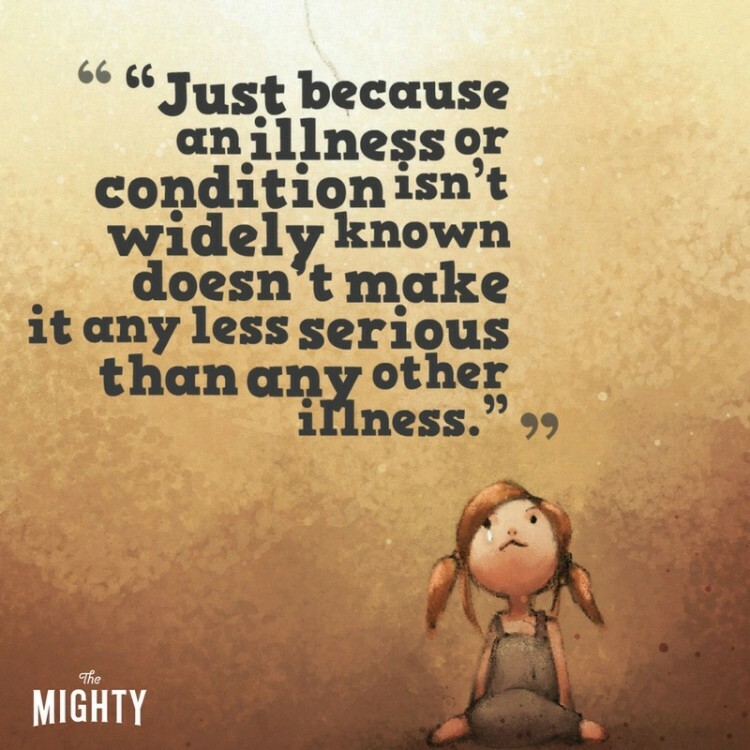 As the chronic illness community comes together to support Invisible Illness Awareness Week, which began on September 26, we asked our Mighty community what message they want to share to explain the truth about how invisible illness affects their lives and how their friends, families and acquaintances can better support them. By educating the general population, we can hopefully get closer to acceptance and understanding of the realities of invisible illness.